In any workplace or any place at all, for that matter, having a good behavior is important. In certain companies, behavior is so important that the behavior of each employee is even recorded for further study. Other times, these studies are used for risk assessment of a workplace. Some even have a performance chart and correlate it with the behavior of an employee. The result of such studies are then given to the employee for them to be able to evaluate themselves. 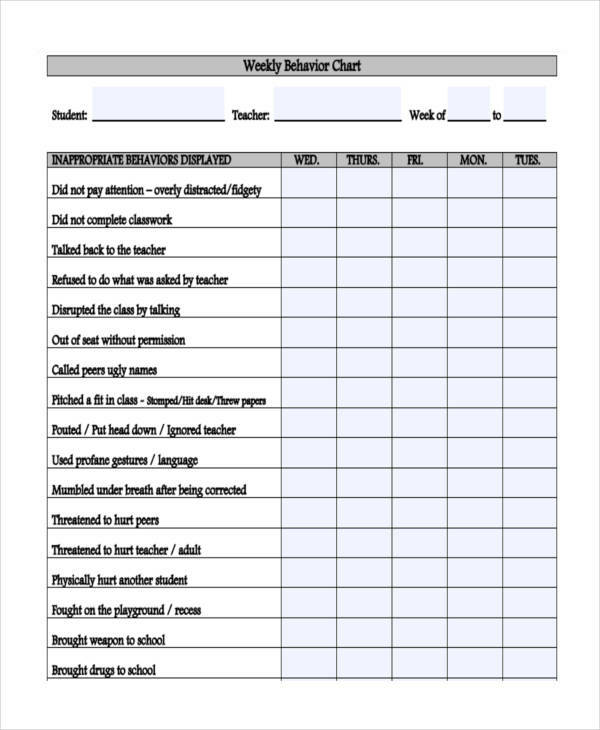 To be able to record the behavior of a person either in the workplace, in a classroom setting of for educational purposes, we have a great selection of a lot of printable chart examples here ready to be downloaded to the user’s liking. 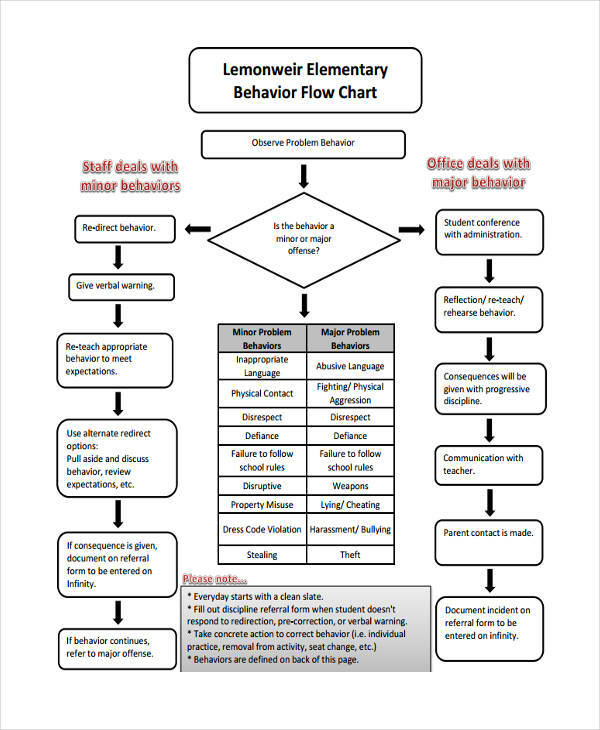 What is a Behavior Chart? A child does so any activities in a single day. Truly, they have all the energy a person could have, and some of those energy might be channeled to a negative action or an activity that might be improved. 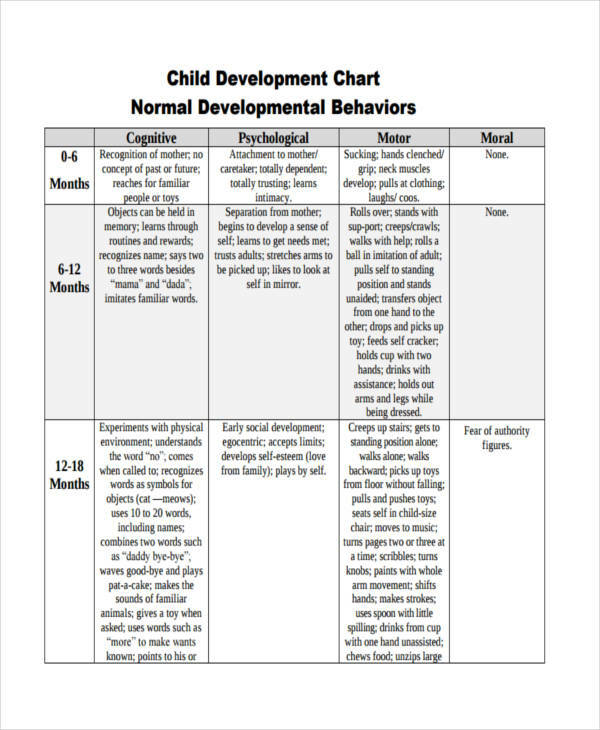 A behavior chart is an overview of a child’s actions throughout a day for a certain duration of time. 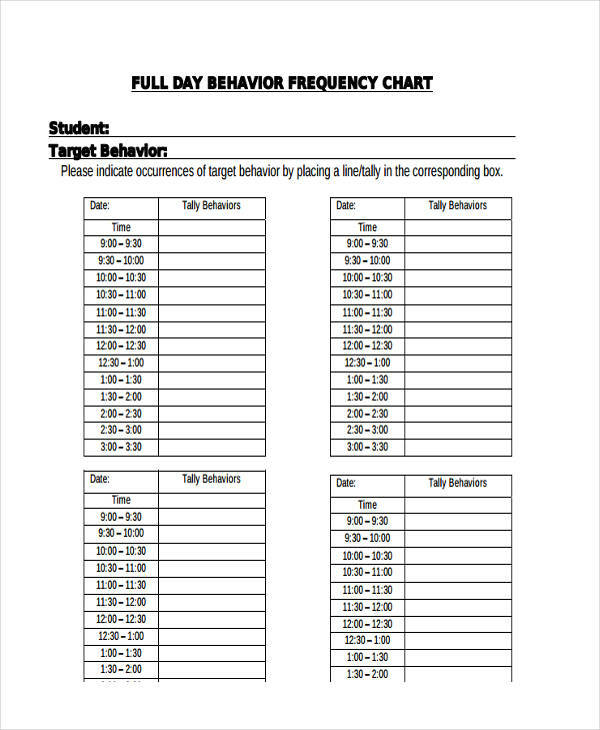 This chart is used to either evaluate a child for optimization of his day-to-day activities, or for further study. 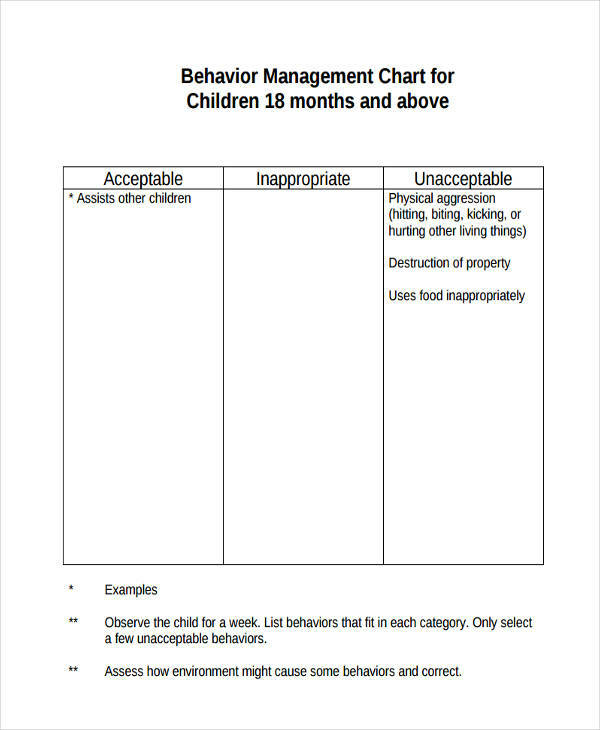 A behavior chart examples suggests what and when a child does this and that, and what are the actions with negative outcomes that the child is currently doing. 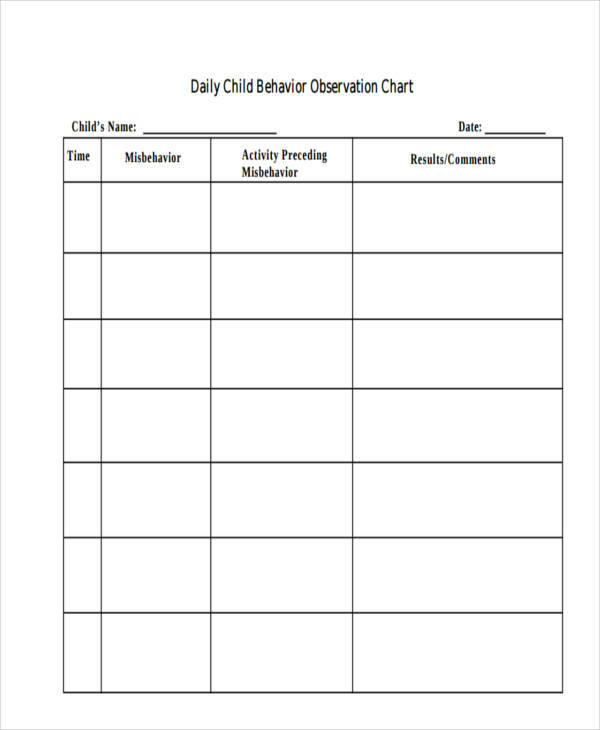 A behavior chart also deals with what to do with a negative action that a child does. 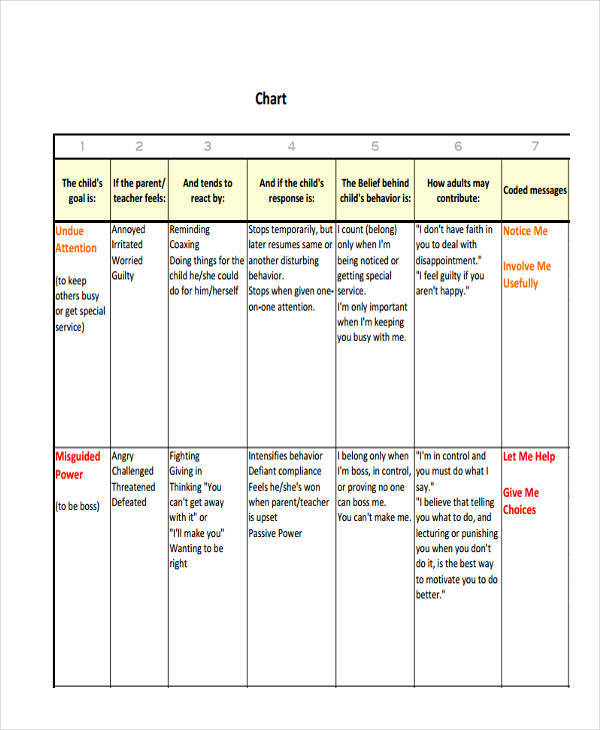 How Do you Make a Behavior Chart? 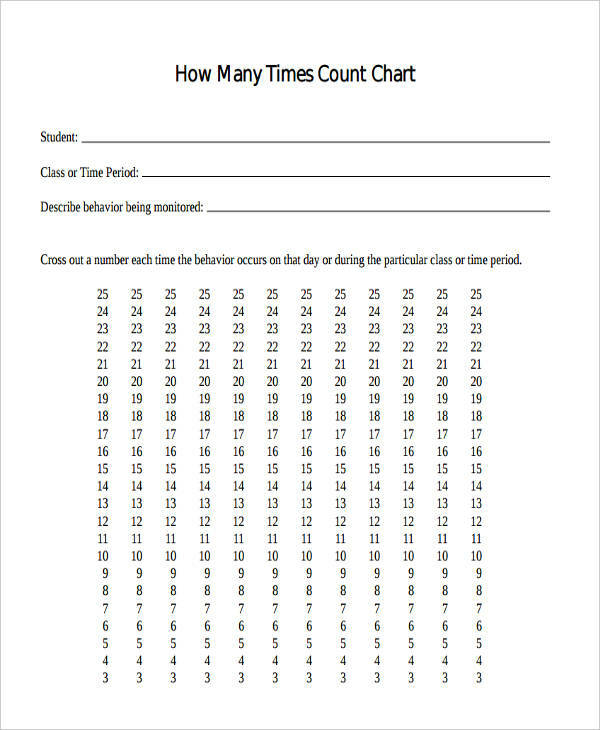 The days per week table is very important in a behavior chart. 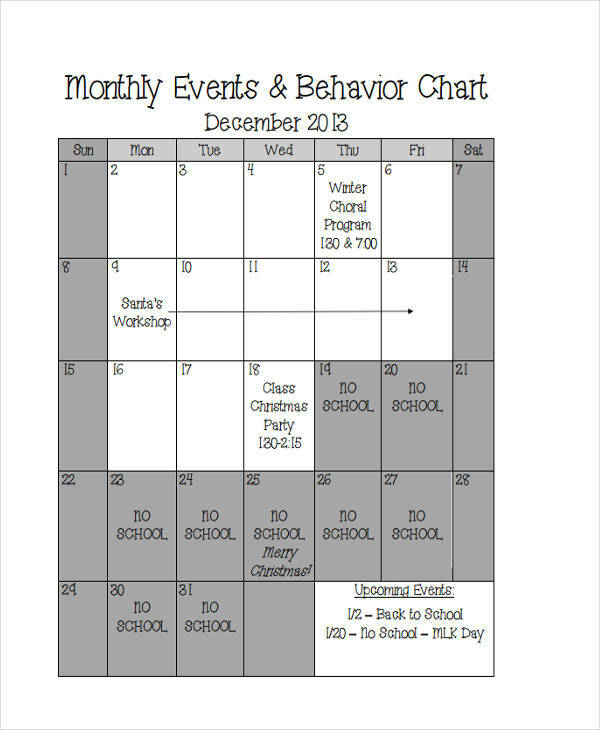 a simple check mark on this part of the chart will be able to tell if a child did a certain action during a corresponding day. this might also be one of the factors in giving the reward to the child. The activity table is another important part of a behavior chart. This table lists the activities that a child must be able to do in order to have a reward. 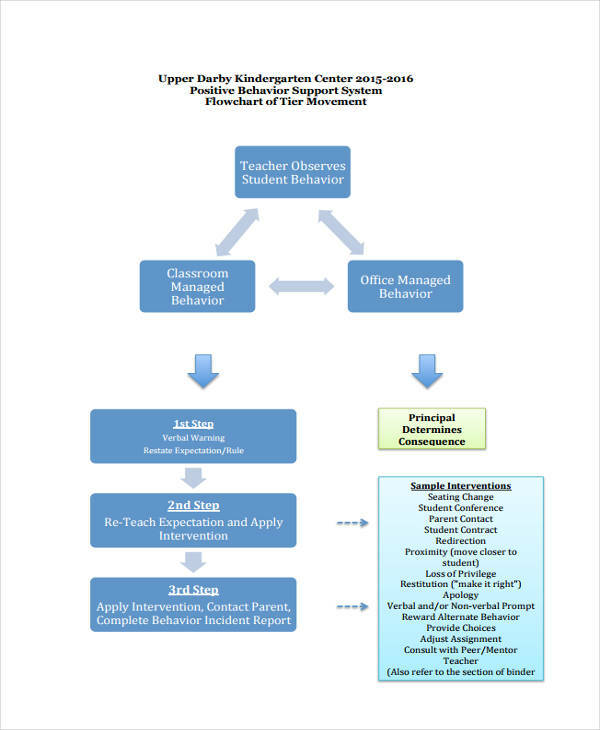 How to Use Behavior Charts in the Classroom? 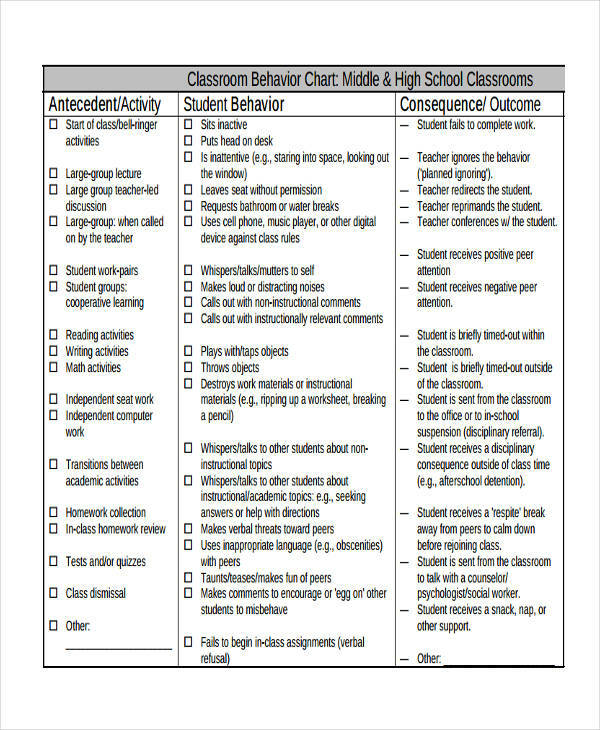 As behavior charts deal with mostly children, it is no question that they have the potential to be used by teacher in a classroom setting. 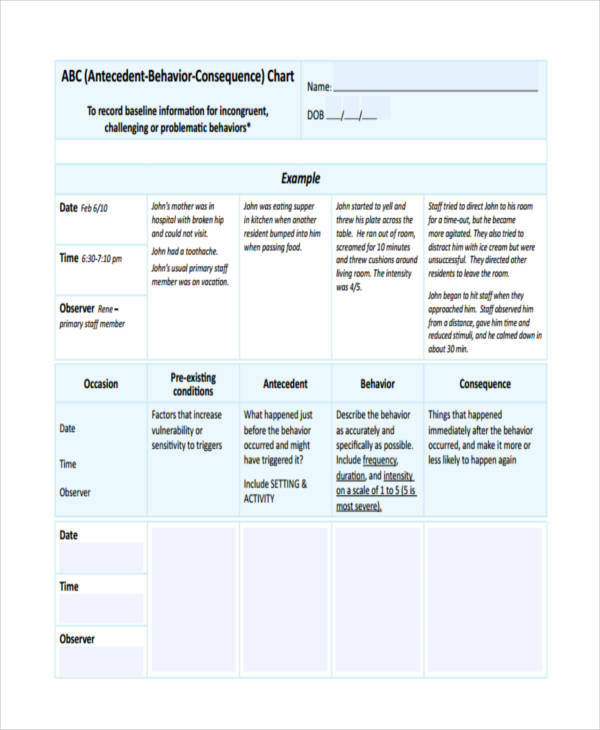 In this juncture, behavior charts have the ability to change the way children in a classroom may behave, treat their classmates, and in doing their tasks. 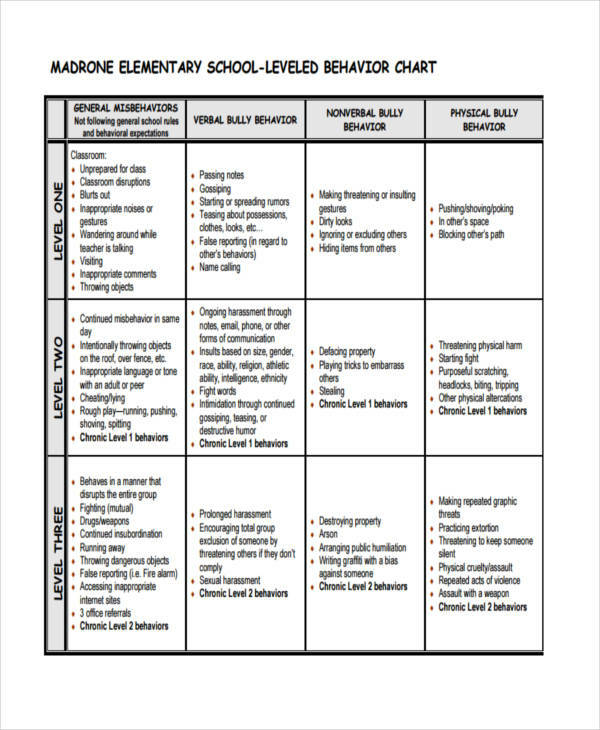 classrooms have a big responsibility in terms of being able to build a child, and a behavior chart may be used as a great development plan for the improvement of any child. 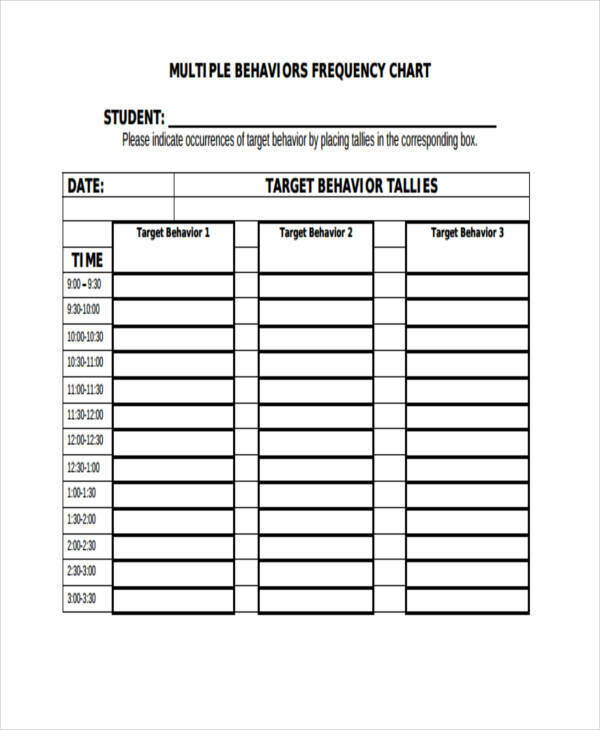 Behavior charts can be used as a reward system in a classroom setting. 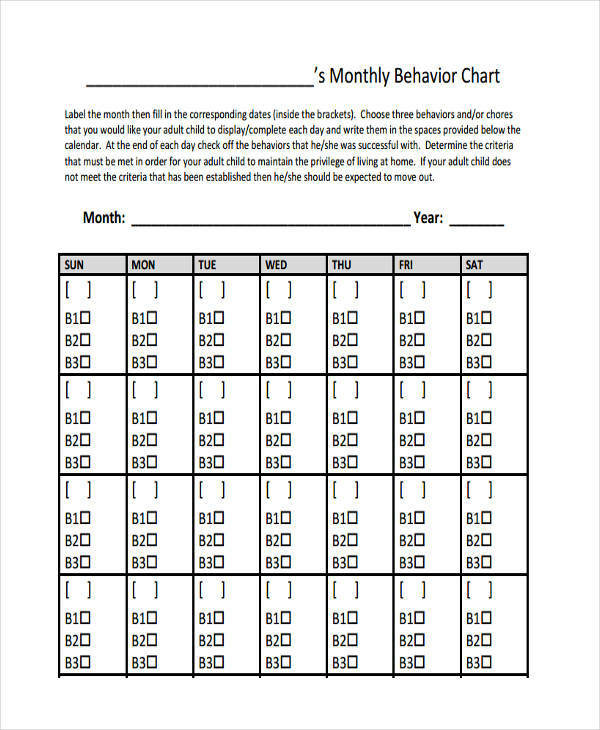 Using a behavior chart as a reward system for kids is a great way of saying “Do this, and you will be rewarded” to the kids and if successful, can change the mindsets of children into doing the said tasks even without any reward at all in the future. Reward a pupil if he does a good thing. A simple stamping of a star in the hand of a kid, or placing a smiley on his or her chair in thee classroom as a reward of doing something good in the classroom is a great confidence booster for any child. They go home with happy faces and tell their mom or dad “I did great in school today, I got five smileys from our teacher!” And these are enough to make the parents happy. 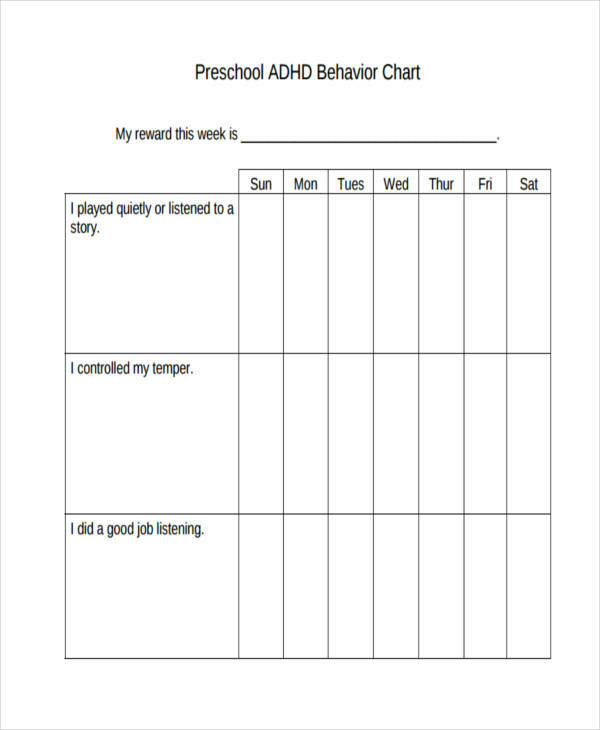 Give them credit when they do good, and the behavior chart will let them know if they are doing something in a bad manner. 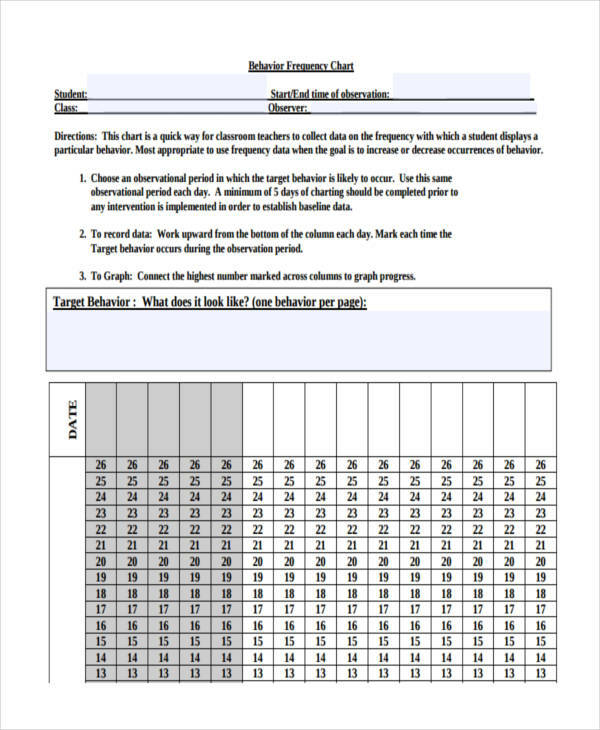 With the help of behavior charts, a pupil will be able to know that he must do better tomorrow if he does not get any stars today. 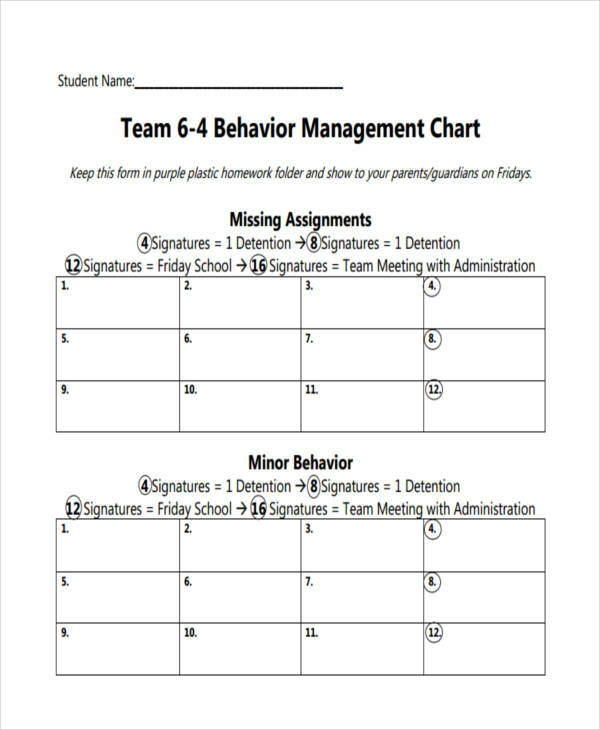 What Do We Do with the Behavior Charts? After being able to finish a chart examples in Doc, students who are able to excel get their reward, if it is a reward-based system. This is the part where you actually give the rewards you’ve been promising the child the whole tie during this process was being done. 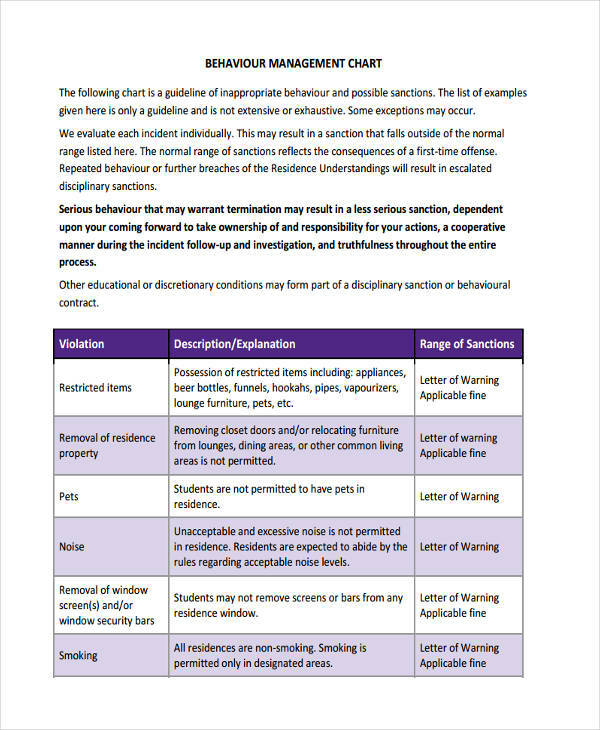 This is also the part where further evaluation of the behavior is analyzed. Has the child shown improvement over the course of the activity? Is he or she more likely to do the task without having to give him or her a reward? Has the child realized the importance of the task given to him? These are the questions that must be answered after the activity is finished, from here, the program may continue or not. 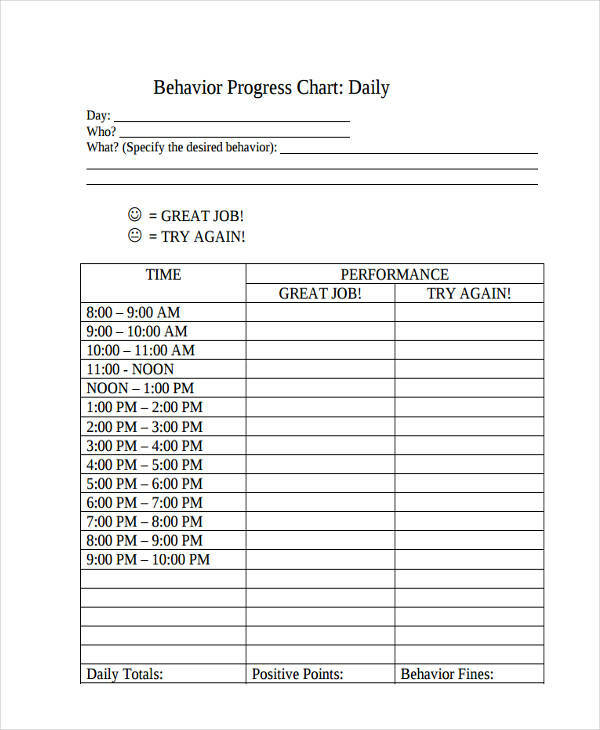 Should Another Behavior Chart be Used After the First One was Done? It really depends whether there is a need for such or not, but a good follow-up will do wonders if implemented in the right way. Again, for kids, it is better to reward the than to punish them for a certain action. That is why even though they have excelled in doing their task for the reward, and after you have evaluated, it shows that the kid might need more nudge for the to be able to make a task for a reward as a norm, then another go at it might be good to try. Go for a more complex task, but still a achievable one, and a better reward, and see how they respond to it. This is like a partnership agreement, in which both parties must be passionate in the process and enjoy it’s fruits later. 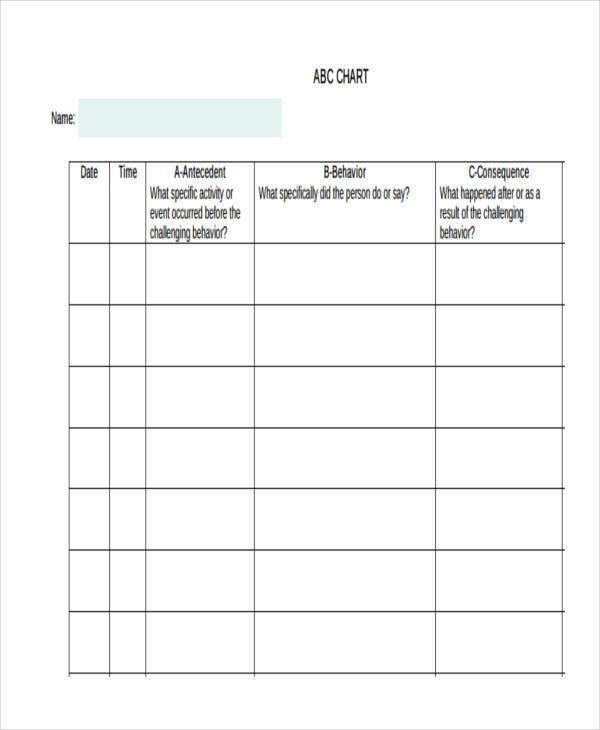 What Is a Process Behavior Chart? A Process behavior chart is a tool that is used to know whether a process is in a state of control. This is one of the tools used to know the performance of a certain individual or different individuals. This is a type of chart made by Walter A. Shewhart during the 1920s while he working for a certain company. 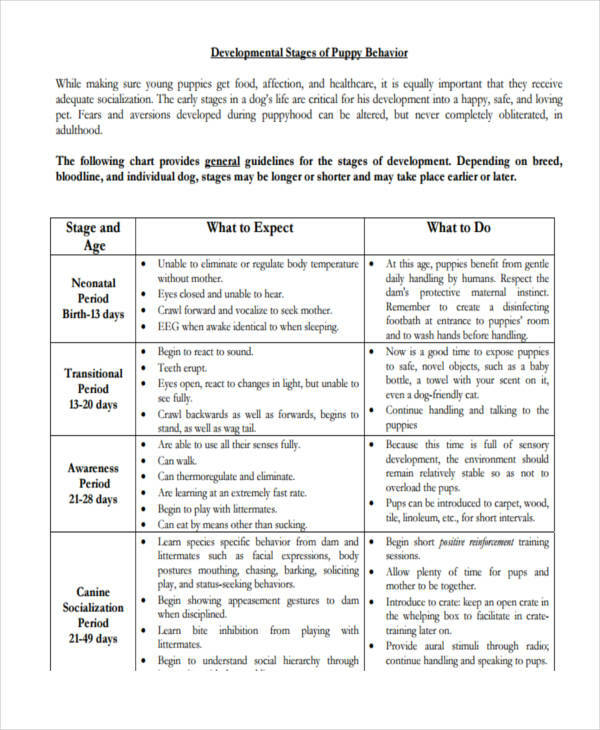 Though this kind of chart is mainly used for industrial companies, this can also be used for determining the performance of children in a classroom setting in the sense that it could also serve as a development plan for the in the long run. 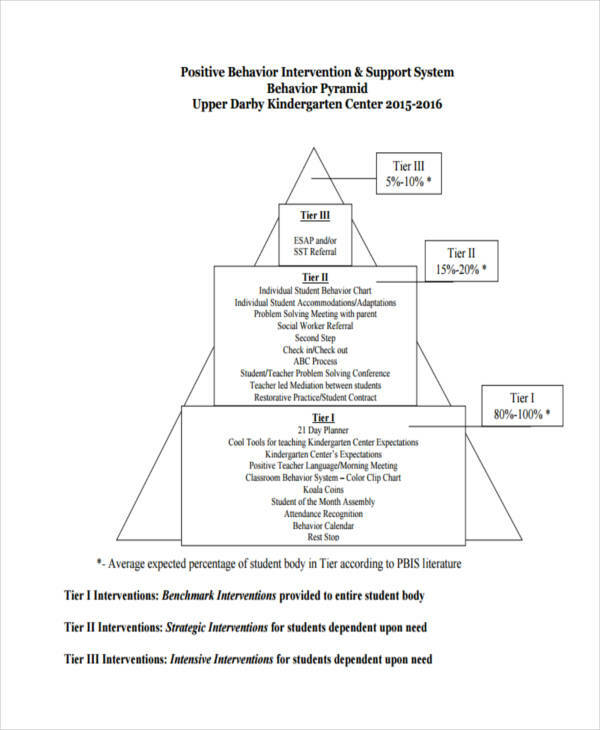 A reward system could still be used for a process behavior chart. 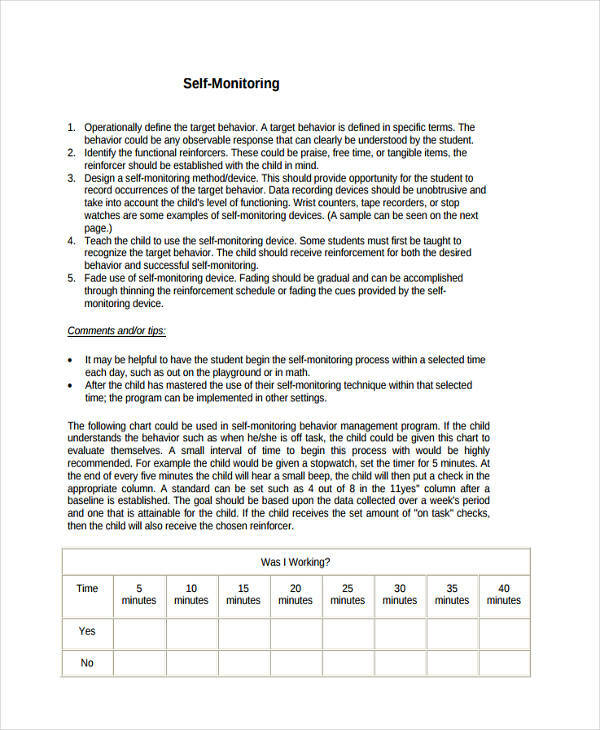 for example, a control chart may be used for telling the kids in a classroom when and where they could play around and be goofy, and when they should pay attention, but this will only work through the coordination of the students themselves and the teacher of the class. 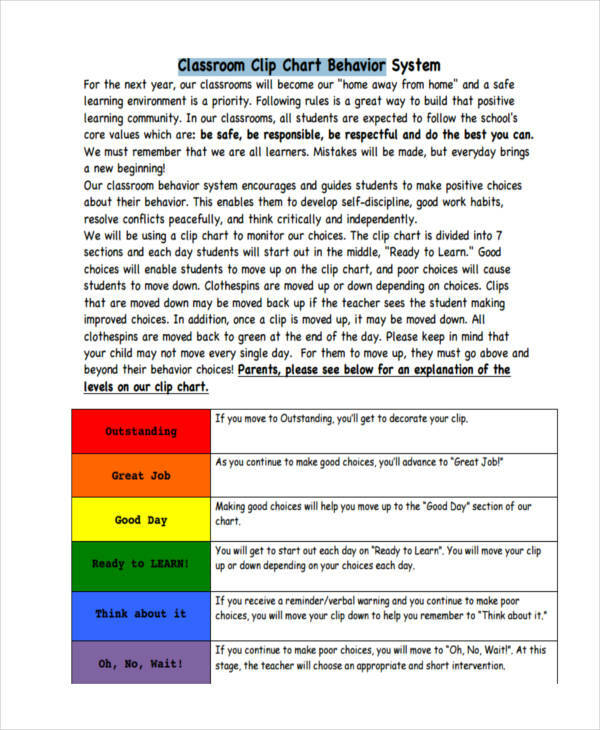 If you want to make a behavior chart, there are a lot of examples available here for you to choose from and download to your liking. 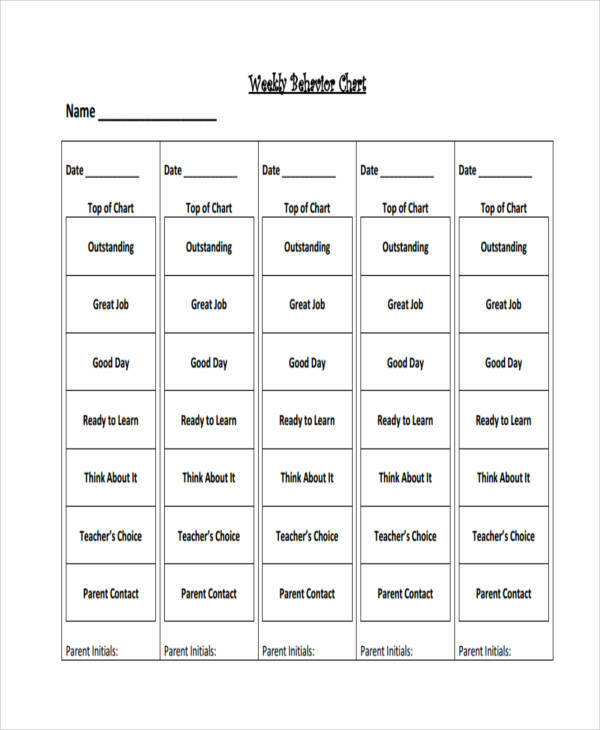 So if you want to try out a behavior chart o your child but don’t have a idea on how to create one, there are examples that can help you out here. Choose some, and hit that download button now!